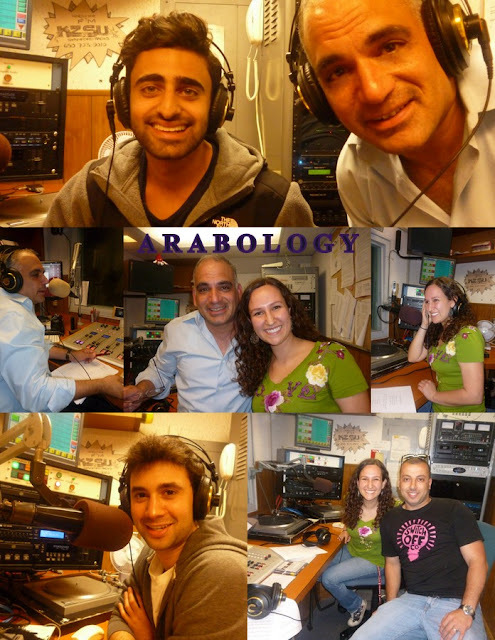 Pictured above are the guests on the 4th episode of Season 2 of Arabology (aired May 3, 2012). Khaled Alshawi, a Stanford student from Bahrain and Co-President and Co-Founder of AMENDS, Katherine Cromack (who sang Fairuz live on the show) and Elliot Stoller, the other Co-President and Co-Founder of AMENDS. Last pic on right features Ahmad Qousi who made sure all went well for the broadcast (with Katherine Cromack).